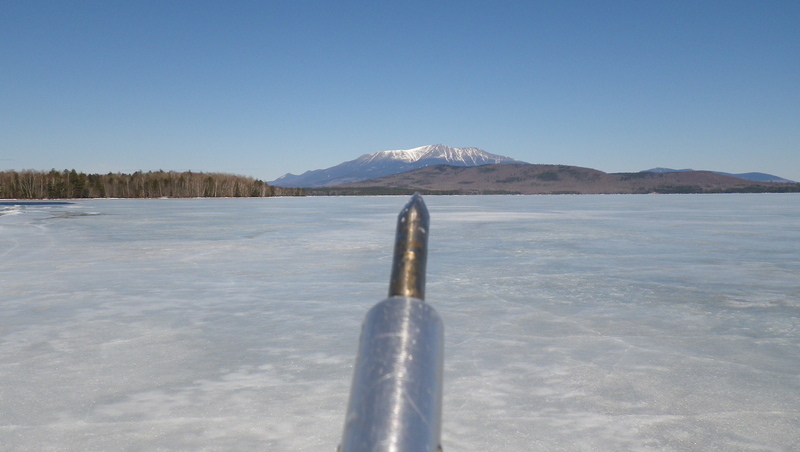 The icehounds keep sniffing out good ice on the big northern lakes, and I would be negligent if it weren’t posted here. Next year let’s have the meeting in May! It’s amazing, but I think we could still sail this weekend if we wanted to. In Lambton, the level of the water on Lac St. Francois did not increase this week, and cold nights are coming tonight and this weekend. It must be the same in Lac Megantic. Just to let you know, and I know you have already said you are done, Karl and I are thinking Sunday morning might be a go for Millinocket Lk. 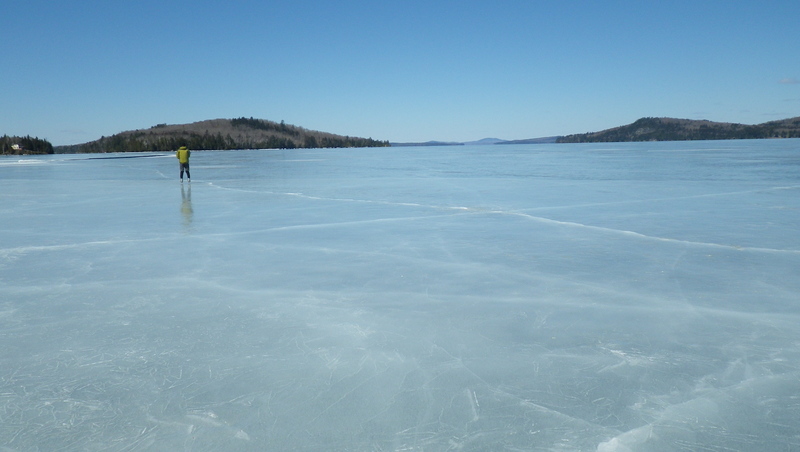 Had 16-18″ of ice [heard from the ice fishers mouth and looked in the hole] on Wed.. So temps drop Sat. night. We walked right on from boat launch, road in is a bit soft when it warms up though. Or New England Outdoor Center might work for a launch site. I want 65days and that will get it for me, plus it is my age for the skating season 2015. This entry was posted on 04/08/2016 by Commodore James "T" Thieler DN US 5224. It was filed under 2016 Season .